195010 FGLD & SFGLD Guascor FGLD & SFGLD series Natural Gas Engines 1500 rpm - Technical Data, Description, Operating Condition, Guascor gas engines fuel specification. Free download. 195011 Guascor diesels Guascor Diesel and Gas Containerised Generating Set - Data. Free download. 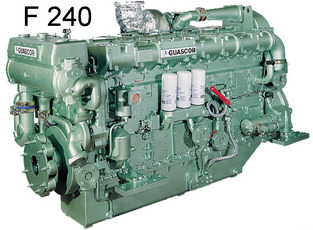 195012 Guascor engines Guascor Diesel and Gas Industrial Generating Set - Data. Free download. 195020 F240 / SF240 GUASCOR F240TA / F240TAB / SF240TA diesel engine Spare parts Manual. 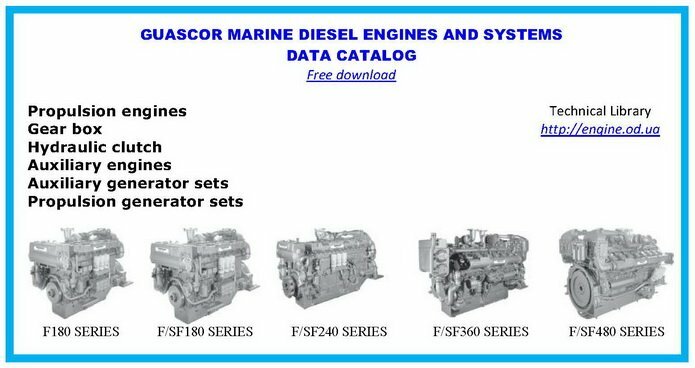 Guascor marine diesel engines full range catalog - free download.